Have you ever heard someone played piano and instantly thought " Gosh, I wish I could do play like that" ? Good because you can. Practice makes you a master and what I offer the highest quality of training which includes reading notes, learning famous tunes as well as exploring into the classical world of music. I am certain that when you train with me, you will get where you want to be sooner than you think. Get ready to awaken your inner Artist. Izabela delivers an exceptional lesson experience and ranks in the top 15% of our teachers nationwide. Classically trained pianist with 25 years of experience in playing and sixteen years of teaching. Trained in Poland in one of the best schools in the country. Specializing in classical music but can teach anything. Izabela was very patient and a great communicator. I thoroughly enjoyed my first lesson and am looking forward to the next! I'd highly recommend her. Izabela was very kind and patient with me as I struggled to read music, play the correct notes, and keep my pinky fingers curved. Great first lesson. Amazing Pianist and instructor, Highly recommend! 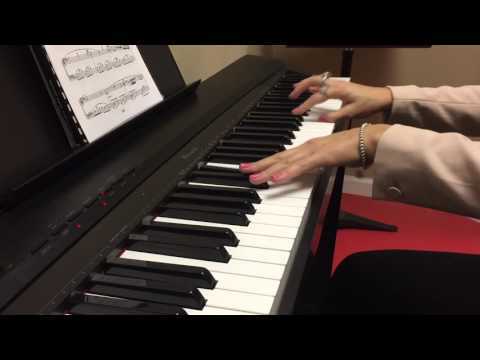 I have been taking piano lessons with Izabela for two months now and it has been a great experience so far. I did not have much knowledge about piano so we started with the basics like reading music sheets. She has been very encouraging and patient. At the same time, she continuously challenged me which has helped me to be thorough with my basics. I definitely recommend Izabela to anyone who wants to learn Piano. Thanks Izabela for making me a better Piano player. After only 3 piano lessons with Izabela, I can honestly say she is the most patient instructor I've had so far in my three plus years of study. Her 25 or more years of piano experience shows through when she helps me to understand each music piece.